Seven hundred pounds is quite a bit of weed. ​A Massachusetts photographer has been arrested after allegedly trying to retrieve more than $1 million worth of marijuana from a shipping facility. 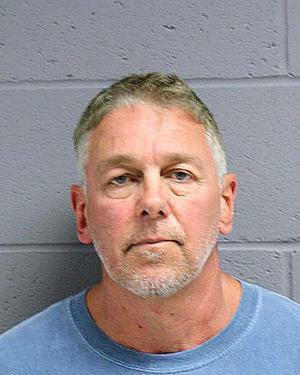 Tommy Colbert, 52, of Brockton, Mass., one of the area’s top wedding photographers, is a suspect in connection with the big pot bust in Abington, where about 700 pounds of cannabis was seized on Monday. A relative of the photographer stunned court officials on Tuesday when she walked into the clerk’s office at Brockton District Court and paid Colbert’s bail with $40,000 cash, reports Allan Stein of The Brockton Enterprise. A woman identifying herself as an aunt of Colbert’s walked into the criminal clerk’s office unattended at 2:20 p.m. Tuesday holding a plastic shopping bag. Inside the bag were bundles of cash in $10, $20, $50 and $100 denominations. Each bundle was wrapped with an elastic band. The woman said the money had been collected from “a group of family members” to post Colbert’s bail, set by a judge a $40,000, according to Leach. Leach said he took the money into a back room and counted it twice with the help of another court employee. It took 40 minutes to count the cash the first time, Leach said. Wedding photographer Thomas J. Colbert, 52, of Brockton, Mass., is a suspect in connection with a 700-pound pot bust in Abington on Monday. ​Colbert was arrested about 1 p.m. on Monday after Abington police were tipped off that a possible “drug shipment” was due to arrive at the YRC Worldwide shipping facility. Police claim that Colbert rented a box truck from a Whitman company and arrived almost immediately after the two crates arrived at the facility. The shipment originated in Huntington Beach, California. The original sender, still unknown to the cops but undoubtedly freaking out at this point, paid YRC Worldwide an extra $500 to monitor the shipment, but did not include either the sender’s name or point of destination. 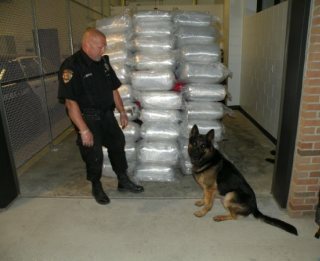 YRC Worldwide’s security goons became suspicious and notified the Abington shipping facility about a possible drug haul. Police using search dogs quickly located marijuana inside the crates, which were still on the loading dock, according to Abington Deputy Police Chief Christopher J. Cutter. Colbert was arrested at the scene. Police got a warrant to search the wooden crates, and found about 700 pounds of marijuana in 17 bales of different sizes. Each bale had been wrapped in plastic shrink wrap, newspapers, and aluminum foil, then laced with fabric softener and grease to mask the smell of cannabis. Cutter claimed the marijuana had an “estimated street value” of more than $1 million. It was the largest drug bust in the department’s history, according to Cutter. Police claim the way the drugs were packaged “and other facts” indicate a professional operation that began in Mexico or a border state. Abington police said they have contacted the Drug Enforcement Administration about the case.